By Mark Polk Length - 10 min. 30 sec. 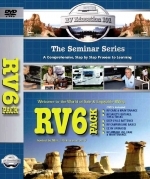 Need some RV help? You’ve had a great year camping, now it's time to put your RV away for the winter. What do I do? Where do I start? Don't worry, you are not alone. 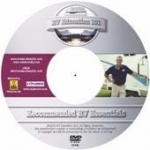 These are common questions, ones that RV expert Mark Polk will answer for you in this specialized winterizing and storing DVD. Winterizing the RV protects the RVs water system, but what about the tires, batteries, generator, chassis storage, coach storage and other components that can be damaged if they are not properly prepared for short or long term storage? 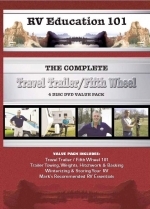 You will see detailed step by step instructions on how to properly winterize & store your RV. To make sure you remember what you need to do, and in what order, a printed checklist comes with your DVD. This checklist includes supplies needed and the steps to take for you to complete the project.Let RV expert Mark Polk, help you to thoroughly understand all of your winterizing and storing needs!